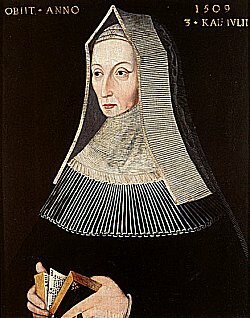 The second in a series of posts looking at formidable Tudor women. 30 October is an important date for the early Tudors. 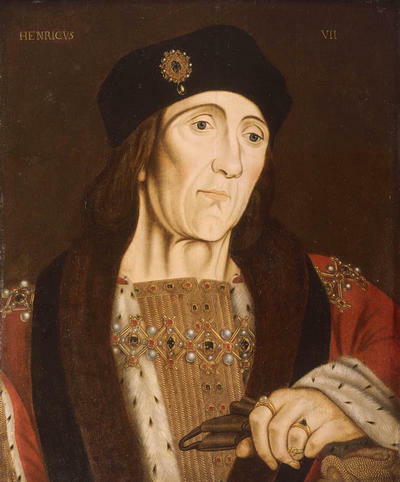 Aside from being the anniversary of Catherine de Valois’s son, Henry VI, retaking the English throne in 1470, it is also the anniversary of the coronation in 1485 of Henry VII, the first Tudor monarch. Henry VII was the grandson of Catherine de Valois and Owen Tudor. His parents were their elder son Edmund Tudor and Margaret Beaufort. Edmund and Margaret married on 1 November 1455 when the bride was probably twelve years old. The Wars of the Roses had recently started and less than a year after the marriage, Edmund was captured by Yorkist forces. He died of plague in captivity on 3 November 1456, leaving his 13 year old widow seven months pregnant. On 28 January 1457 Margaret gave birth to their son. Margaret was young and small and it was a particularly difficult labour and for a time it was feared that both mother and child would die. However, both survived, and she named her son Henry. Although Margaret married twice more, she would have no more children, perhaps as a result of complications after this birth. Her second husband was her first cousin Henry Stafford. They married in 1462 and she was widowed in 1471. Her third marriage was to Thomas Stanley in 1472. It was her son, though, who was the focus of Margaret’ attentions. 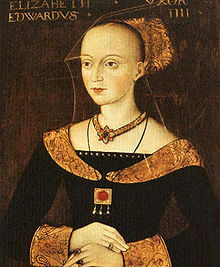 She plotted with Elizabeth Woodville, widow of Edward IV and mother of the Princes in the Tower (by then both boys were presumed dead) against Richard III. 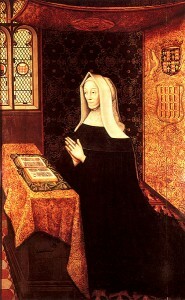 The two women decided to marry Margaret’s son to Elizabeth’s eldest daughter, also named Elizabeth. This marriage would unite the twin claims to the English throne as Elizabeth, the daughter of Edward IV represented the Yorkists and Henry was the last Lancastrian claimant to the throne. On 22 August 1485, Henry’s forces met Richard’s at the Battle of Bosworth Field. Although Richard’s army was superior in numbers, Richard himself was killed in the battle and many of his supporters fled. When the dead king’s crown was found (according to legend, in a thorn bush), Henry was crowned with it. On 18 January 1486, Henry followed his mother’s advice and married Elizabeth of York at Westminster. Margaret’s influence over her son, however, was not eclipsed by his new wife. She was given titles and, unusually for a married woman, allowed to own property in her own right. Technically, the royal pecking order places Margaret lower than her daughter in law Elizabeth of York, the new queen, and Elizabeth Woodville, who as Edward IV’s widow was the queen dowager. 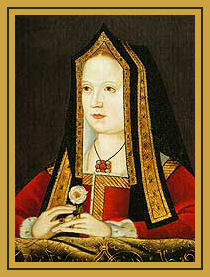 Perhaps at Margaret’s insistence, Elizabeth Woodville was banished from court in 1487. Margaret refused to walk further behind the queen than half a pace, indicating that she only grudgingly acknowledged the latter’s superiority. 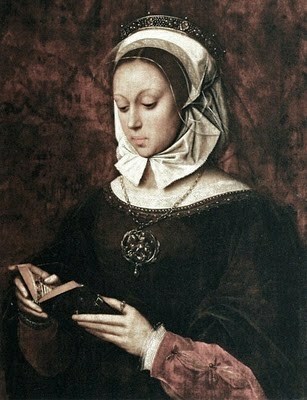 Margaret continued to be a dominant influence on the new king. She was known for her piety and good sense and when her son predeceased her on 21 April 1509, she was named regent for his son, Henry VIII. Her stint at direct power, rather than behind the scenes influence, was brief though. Henry VIII turned 18 on 27 June and his formidable grandmother died two days later. This entry was posted in Catherine de Valois, Elizabeth of York, Elizabeth Woodville, Henry VI, Henry VII, Henry VIII, Infamous Women and tagged Catherine de Valois, early modern, Elizabeth of York, Elizabeth Woodville, England, Henry VII, Henry VIII, Margaret Beaufort, Medieval, Owen Tudor, Tudor, Valois on October 30, 2011 by Gillian.